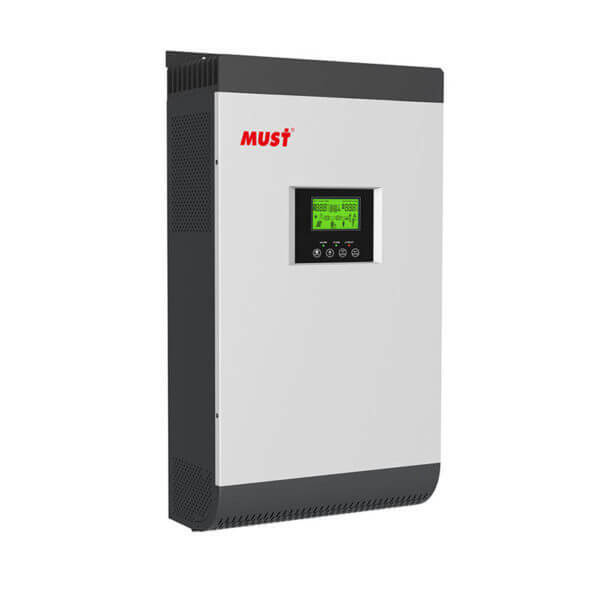 PV1800 VPK is a multi-function inverter/charger, combining functions of inverter, PWM solar charger and battery charger to offer uninterruptible power support with portable size. 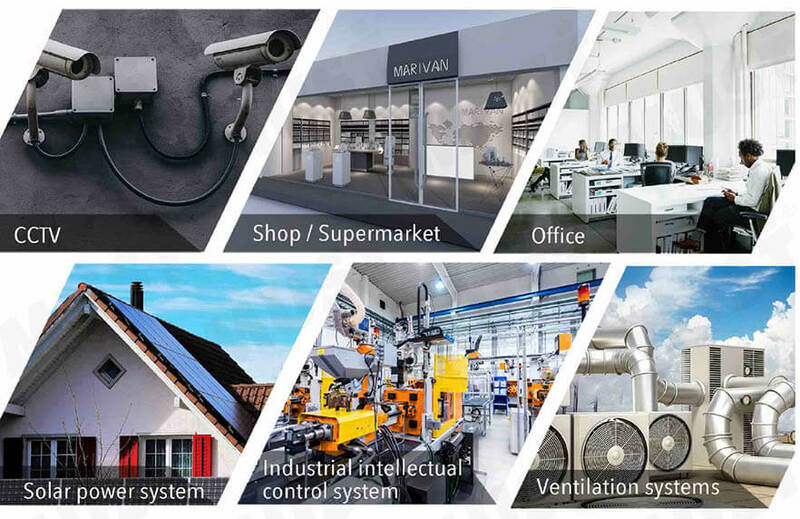 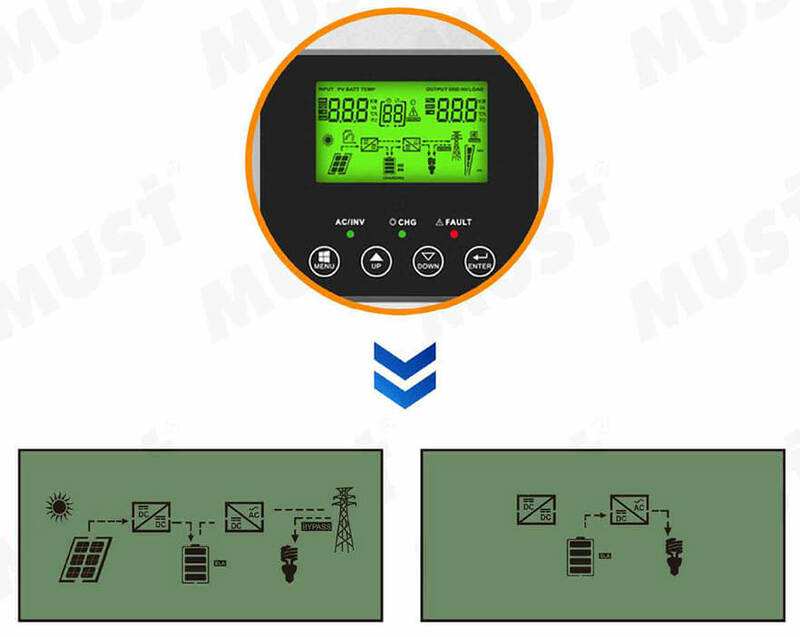 Its comprehensive LCD display offers user-configurable easy-accessible button operation such as battery charging current, AC/solar charger priority, and acceptable input voltage based on different applications. 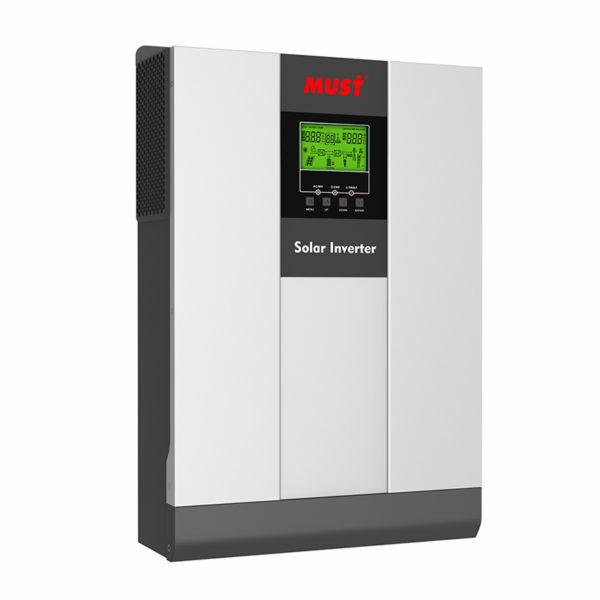 The inverter is able to run in parallel operation mode to increase the capacity and reliability of the solar system. 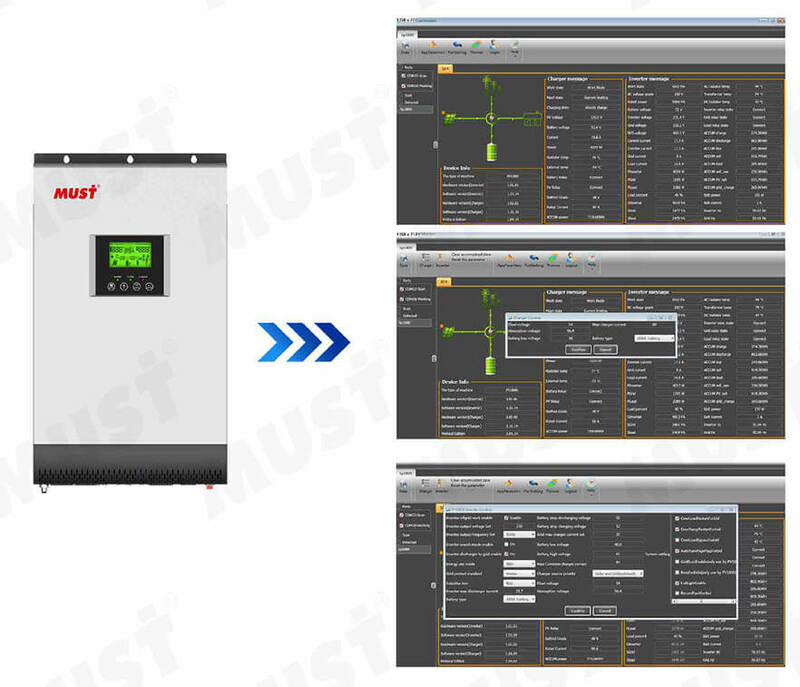 For higher reliability, parallel kits are adopted for invertersto communicate with each other. 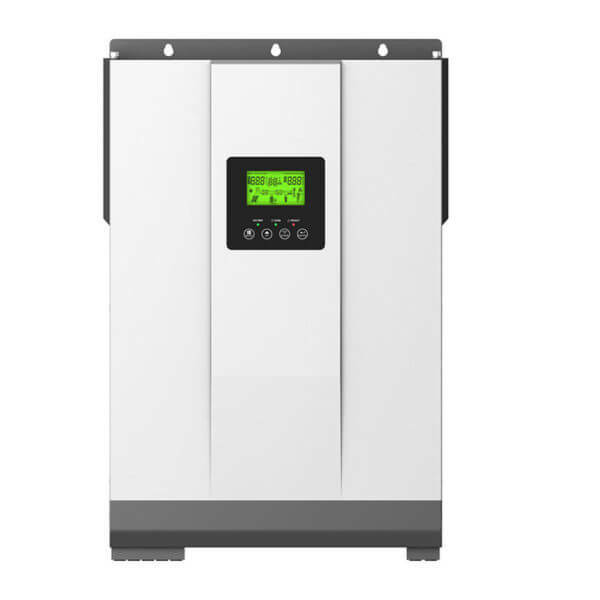 Up to 3 inverters can be installed together. 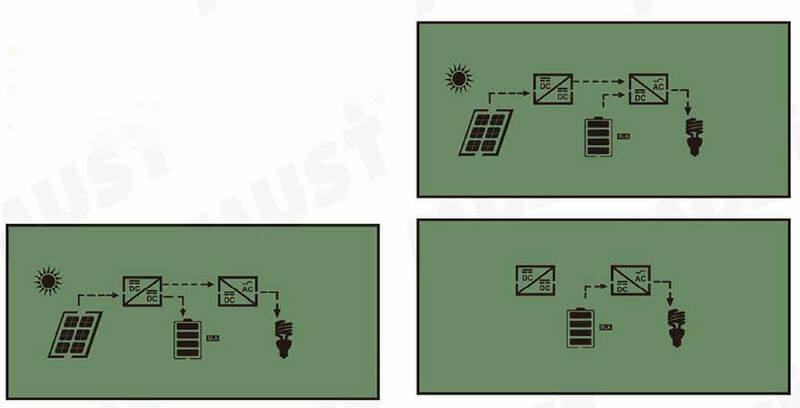 Either single-phase or three phases parallel operation is available. 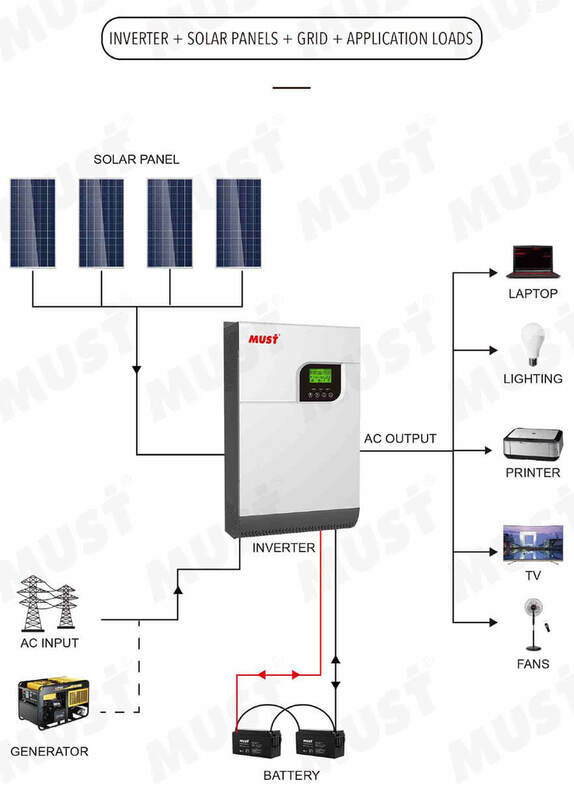 Error are caused by inside circuit error orexternal reasons such as over temperature,output short circuited and so on.